After doing my first USB experiments, I have connected a TC74 I²C temperature sensor to the PIC18F4550. 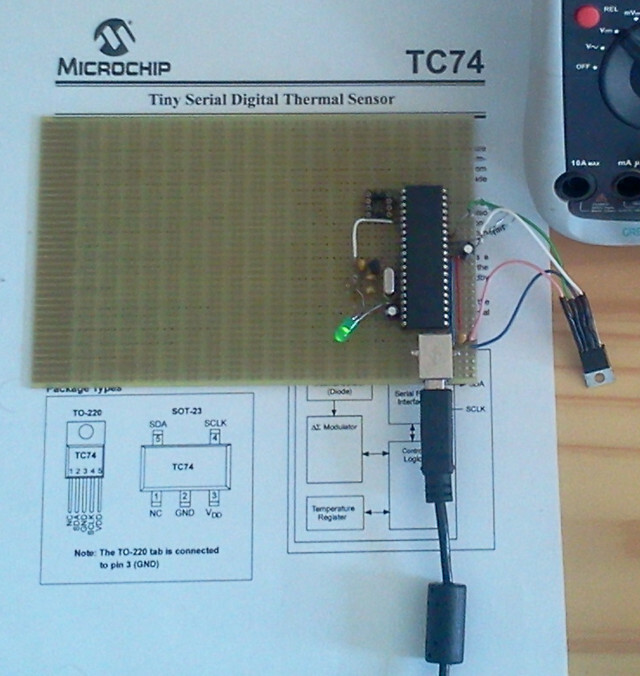 The PIC18F4550 reads the temperature of the TC74 via I²C and makes it available through the USB port. When connected to a PC, it is possible to read the current temperature with the program ./pc/temp. 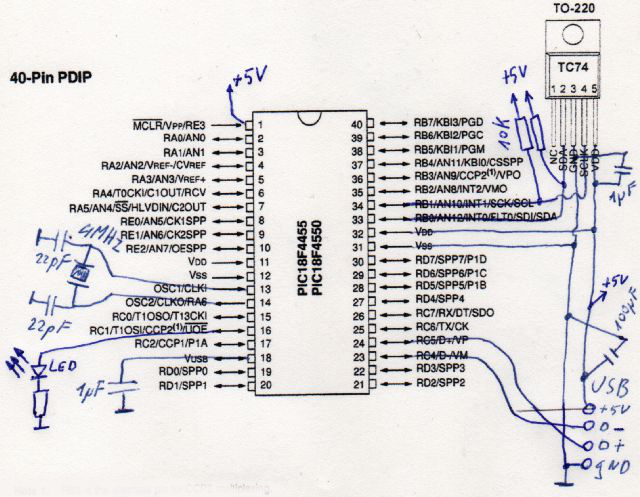 The source is available here, or you can download a tar.gz with all the files.